Dr. Tilman Richards utilizes the advanced Laser Assisted New Attachment Procedure as a periodontal disease treatment method to remove gum disease from patients' mouths. Only one dental professional out of every hundred in this country are certified to use the LANAP procedure, and as a dentist, Dr. Tilman has joined their ranks. The LANAP protocol is revolutionizing dental care by providing a new way to treat gum or periodontal disease. 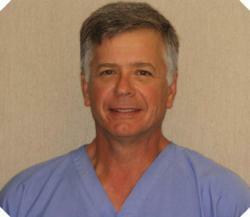 Dr. Tilman Richards is offering laser gum surgery as a new periodontal disease treatment. Tilman Richards, DDS provides a new way to treat gum disease with the Laser Assisted New Attachment Procedure. He treats many patients suffering from gum disease, yet he realizes that many others who have this disease do not seek periodontal disease treatment from their dentist. In fact, millions of American adults go untreated each year. In order to curb the incidence of gum disease in Corpus Christi patients, he has certified on the new FDA cleared LANAP procedure. LANAP uses a highly specialized laser, the PerioLase MVP-7, to remove the disease from the mouth of the patient. The first step in the LANAP procedure is to probe the pockets between the teeth and gums to see how far the gums have detached. The pulsing laser is then used to kill the bacteria and remove up to 90 percent of the unhealthy gum tissue. This clears the way so the dentist can remove the tartar that has collected on the teeth below the gum line with ultrasonic scalers. Next, the laser is used to help the blood clot and seal the gums to the teeth. The gums are compacted against the surface of the root so that sutures are not needed. The laser helps stimulate the bone for regeneration. Finally, the dentist may adjust the patient's bite, if necessary. The LANAP periodontal disease treatment does not damage the healthy tissue, which means that gum recession is minimal. In addition, because the gums are not cut with a scalpel, they heal more quickly. The laser helps to control bleeding and discomfort. Most patients are able to go back to work or resume other activities the day of the procedure. This means that very little, if any, time off of work is needed to have the treatment. Dr. Richards works to improve the dental health of his patients, and LANAP is one of the tools he uses for the treatment of gum disease. To learn more about periodontal disease treatment and the LANAP procedure, go to http://www.corpus-christi-dentist.com. Tilman Richards, DDS is a general dentist offering patients personalized dental care for Corpus Christi, TX since 1984. Dr. Richards graduated with honors from Sam Houston State University with a Bachelor of Science in biology, and he attended Baylor Dental School in Dallas where he received his degree as a doctor of dental surgery. He is also a member of the American Dental Association, Texas Dental Association and Nueces Valley District Dental Society. Dr. Richards is part of one percent of dental professionals providing the most recent FDA cleared laser procedure for gum disease and periodontal treatment. To learn more about Tilman Richards, DDS and his dental services visit his website at http://www.corpus-christi-dentist.com and call (361) 238-2373.